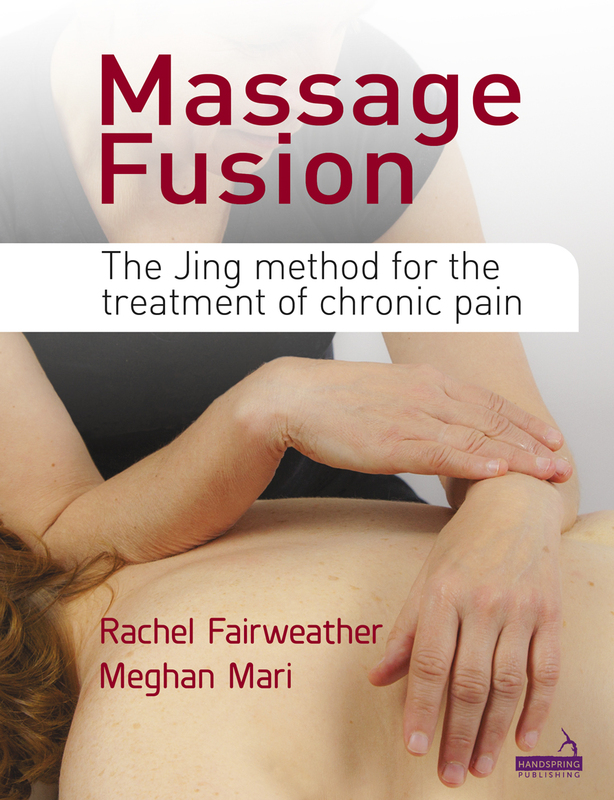 Massage Fusion is an essential companion for any manual therapist interested in treating common pain issues. Acclaimed teachers and therapists, Rachel Fairweather and Meghan Mari offer a practical and dynamic step-by-step approach to gaining results with persistent client problems such as low back pain, neck pain, headaches, carpal tunnel syndrome, TMJ disorders, stress-related conditions and stubborn sporting injuries. 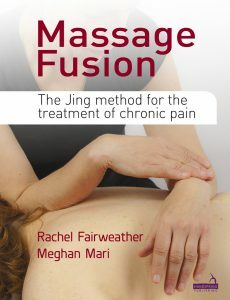 The book outlines a clear and evidence-based rationale to treatment using a clinically tried and tested combination of advanced massage techniques including myofascial work, trigger point therapy, acupressure, stretching and client self-care suggestions. Named after the authors’ successful UK based training company, the ‘Jing method’ has helped thousands of therapists build their practices. Beautifully illustrated with clear photographs of each step, this book gives massage therapists a tried and tested blueprint for approaching chronic pain conditions with confidence. Drawing on both the available evidence and several decades of clinical experience, Massage Fusion brings together art and science, East and West, philosophy and psychology into a joyful exploration of how to gain the best results for your clients. A must read for all bodyworkers who want to be the best! 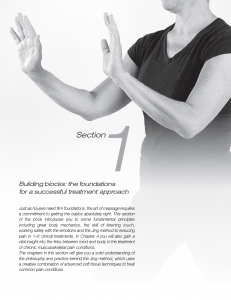 This book is for you, the dedicated hands-on practitioner who recognises the power of touch in affecting chronic pain. It is designed to be many things to many people and many things to the same person. It is at once a practical textbook, a tome of bodywork philosophy, and a beautiful picture book. Yet above all, this book is a love story, a love story about the bold and beautiful art of bodywork, a story that proves the adage ‘if you love what you do you will never work another day in your life’. Massage Fusion was written for the millions of therapists worldwide who love massage and bodywork, for those who have found meaning and sense in their lives through the simple yet profound act of touching other human beings with reverence and respect. This book is written for every therapist, everywhere, who helps others with their hands, head and heart. Our own love of massage has brought us a life that has fulfilled all our dreams. It has given us a sense of purpose, a true vocation, a community and some of the most beautiful and transcendental moments of our lives. We hope that this book connects or reconnects you to that journey. The Massage Fusion story began many years ago in the city that unites the dreamers of dreams – New York. We, the authors, met while working at a magical, vibrant new spa offering specialised hot stone massage treatments to bohemian New Yorkers. As we worked, laughed and played with our fellow therapists – a creative, funny and intelligent bunch – we whiled away the hours talking about our hopes and dreams for the future. Rachel’s dream was to open a school in her native UK offering the high level of training common in the USA but unavailable in the UK. She had great ambition for not only herself, but for the entire profession of massage therapy. By making education accessible, she could in turn make the profession more professional. Through this process, she would pave the way for the public to be able to rely on educated massage therapists that could offer essential options for those living with chronic pain. Meg’s dream was always to help people help themselves. 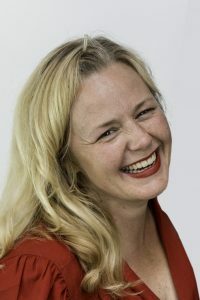 As a counsellor, business coach and massage therapist, she was determined to create spaces for productive communities to form and allow change to happen on the personal and professional level. She strived to combine her love of psychology, law, art and business to empower others to achieve their greatest potential. 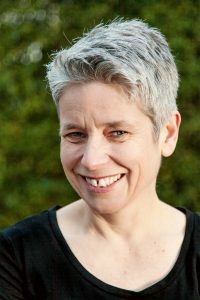 Together our visions combined and, in 2003, we travelled to the UK and began offering the first courses that became the basis of our school and professional development organisation: Jing Advanced Massage Training. Rachel Fairweather and Meghan Mari are the dynamic co-founders and directors of Jing Advanced Massage Training, a company providing degree level hands-on and online training for all who are passionate about massage. Rachel and Meghan have over 30 years combined experience in the industry working as advanced therapists and trainers, first in New York and now throughout the UK. Due to their extensive experience, undeniable passion and intense dedication, Rachel and Meghan are sought-after international guest lecturers, write regularly for professional trade magazines, and together have twice received awards for outstanding achievement in their field. Both have degrees in psychology and have trained extensively in Eastern and Western bodywork. Rachel holds a post-graduate Diploma in social work an AOS in Massage Therapy and is a licensed massage therapist. Meghan is a New York licensed massage therapist, certified holistic health educator and holds a masters in international law.